Now that your company has been certified, it’s imperative that you maintain your ISO 45001 Occupational Health and Safety Management System through ongoing audits, continual process improvements, and training courses. 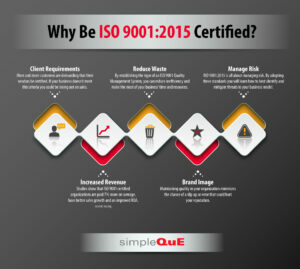 SimpleQuE can provide the assistance you need to ensure that your certification continues to meet the established standards. Our Audit and Gap Analysis can identify any areas where improvement is needed. Having simpleQuE perform these internal audits will result in increased profits, operational efficiency and customer satisfaction. And with simpleQuE’s consulting services at your disposal, you will have a management system in place that ensures you maintain your certification. Ongoing auditing and evaluation, both of internal operations and external resources, are essential to maintain your certification, ensure customer satisfaction and remain in compliance with all requirements. The following highlights the components of simpleQuE’s continual improvement process monitoring and measuring. Internal Audit—Our team will work with you to conduct the periodic internal audits required to maintain your industry certification. 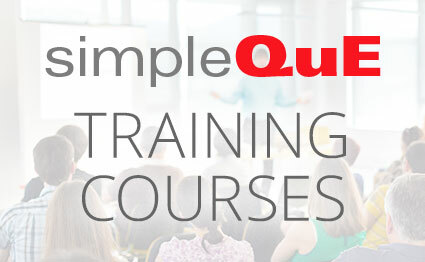 “SimpleQuE has done our internal audits and some training for several years. Perhaps the greatest compliment I can give is to tell you that every customer or registrar auditor that comes through our door never fails to praise our internal audits. Thank you simpleQuE!” – Howard Burton, Ken-tron Mfg., Inc.